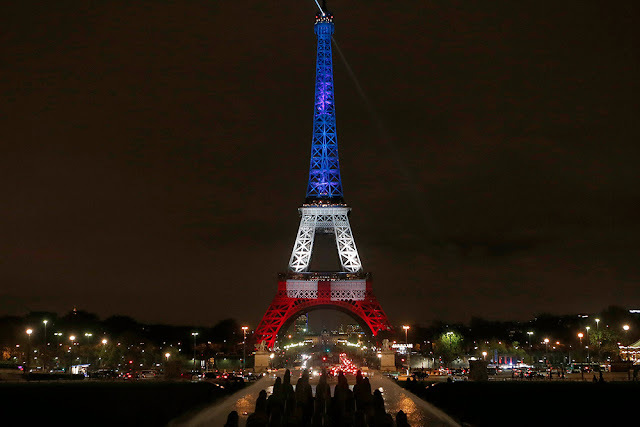 Eiffel Tower just days after the terror attacks in Paris last November 2015. Photo grabbed from TechInsider. Part of your 2016 bucket list to visit Europe? ;) If you're a Filipino passport holder, you need to apply for a visa from any of the 26 European Union countries. I've already blogged on how to get a visa from the Embassy of Switzerland. To give you other options, here's another way to apply for a Schengen visa but this time around it will be from the Embassy of France. It has always been my dream to travel to France, Italy and Spain and visit their most famous landmarks. As a sucker for history, architecture, art, and food, I knew I had to make that dream happen. Saved just enough money and picked the perfect time, and alas – I’m going to Europe! For most, visa application can be truly nerve wrecking and tedious. I decided to process the requirements of my mom and I, myself, and skip the extra service fee of a travel agency. 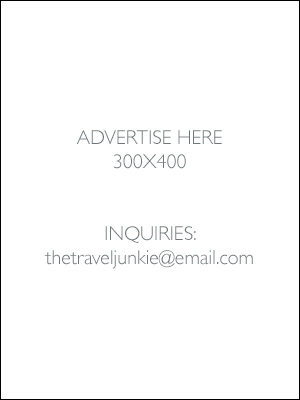 I had to scour through numerous local travel blogs to get tips (maybe I had to look at 5 different blogs to be sure). I guess I was just a worry-wart but after all the preparations, I decided to lodge my application with the French Embassy through VFS Global Philippines because as planned, I would be spending more days in France than in any other country listed in my itinerary. The French Embassy has assigned VFS Global Philippines to receive and process Visa requests. It is located at Ecoplaza, Chino Roces Extension, Makati -- easy to go by car and commute to. One may book an appointment with them through their website, http://www.vfsglobal.com/france/philippines/, or through their helpline, +632-790-4903. I scheduled an appointment for January 7, 2016 at 8:15AM. Got there way before my appointment (around 7:45AM), deposited my bag (paid P100 for locker fee), entered the guarded door to the France Visa Processing Office, and got a service number. After going through security checks, I was surprised to be immediately called to go to window 1 with my mom – it was just 7:50AM. On a Wednesday morning, the processing office appeared a little empty and we were delighted to be served ahead of time. Lodging the application was a breeze. The lady checked if our requirements were complete and asked us to photocopy all the stamped pages of our passports, not just the valid and/or used Visa pages, at P5 per page (the photocopier was located outside the security checks door, beside the UK Visa Processing Office). After counter-signing all the documents, we were ushered to the cashier to pay €60.00 for the VISA processing Fee, €26.00 for service fees, ₱55.00 for photocopies (11 pages), and ₱330.00 for courier service for each passport. We paid the exact amount in Philippine Peso. Lastly, we were called to get our Biometrics done, where our photos and fingerprints were taken. Time check: 8:25AM. In about 30 minutes, we were able to successfully submit our documents. The folks at VFS Global told us that we should expect our passports to be delivered after 2-5 working days. Two days after our application, I received an email from VFS Global stating that our passports were on its way to our house through 2Go Express and we should expect it within 24-48 hours. On Saturday (just 3 days after our application date), our passports arrived – sealed and packed with lots of suspense. Inserted in the passport was the invoice of our Visa Processing Fee and when we opened, both of us were approved! Holy week Europe, here we come! Cover letter explaining the purpose of the trip addressed to the French Consul. The details and trip itinerary must be stated in the cover letter (from arrival, to accommodations, attractions to be seen, and departure dates). Round trip ticket reservations. There are a number of airline companies that allow reservations without payment. I reserved with QATAR but bear in mind that you should reserve a day before your appointment because the reservations are only valid for 48 hours. Accommodation vouchers/reservations. The embassy requires that you have hotel reservations and if you wish to DIY, you can reserve hotels through booking.com with the leisure of paying later / canceling with no additional charge. Be sure to include ALL hotel reservations (all countries included in your itinerary) and that the days match your itinerary. Proof of employment so that the embassy will have an idea where your finances are coming from and that you have a reason to come back. If Single, an NSO Birth Certificate is required. If Married, a marriage certificate is required. Travel insurance with a minimum coverage of €30,000. I got mine from Philippine British Assurance Company (through the assistance of our insurance agent). Make sure that it covers medical expenses and repatriation and that the chosen travel insurance company is accredited by the embassy. PHOTOCOPY ALL YOUR REQUIREMENTS AND APPLICATION FORM. The embassy will not return your original documents if you submit without photocopies. The lady just got the photocopies and stamped them with ORIGINAL SEEN. That’s it! Good luck and may you soon say Bonjour in Paris! Hi Im about to file my application at the VFS Global France, my question is, do I fill up the form handwritten? I am planning to apply but i'm still waiting for my documents. do they really need the leave documents from work? I plan to travel on june 2 but i'm still waiting for my leave documents. ANother question, abot pa po ba kapag next week, may 19 palang mag-apply ng visa? Hello. i am planning to apply for a travel on june 2. abot pa po ba kapag may 19 palang mag apply? I am still waiting for my leave documents. do they really need leave documents from work? Hello Kai! Apologies for the late response. The more documents that yo ucan present, the better. But isn't it a bit too late to apply now? You could've applied end of March if you were leaving June 2. Yes, I just wrote one. If you're joining a group tour just write the first hotel that will serve as accommodation. Hi Maddy, to be honest I have no idea coz embassies don't require a certain amount BUT personally I think you need to present something big. As proof that you can afford to travel specially in Europe. Hi Joy! If I'm not mistaken the long brown envelope will do. After passing they'll just get the papers and return the envelope to you. If you apply on your own (no help from travel agencies), no need to pay those extras. 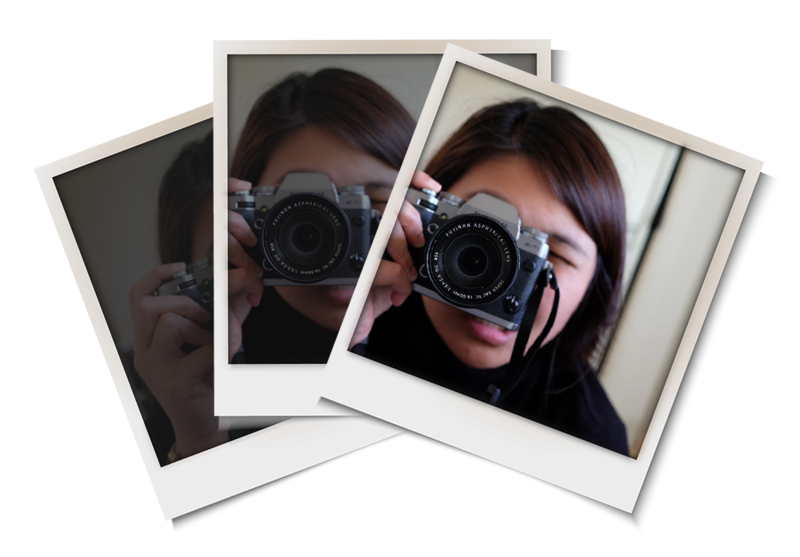 Very useful and informative blog, the blog have all that one wish to know about the whole visa procedure and requirements, great job, thumbs up… i am an accountant by profession, and planing to visit Hungry, Austria and Czech in my upcoming vacation in September, i have traveled before to Taiwan, Hong Kong, Malaysia, Turkey and recently Japan, do you think it will increase my chances of getting Schengen Visa??? Definitely! If you have an existing visa from Japan then it might help. But still that's not an assurance. It will still depend on the embassy. Did you still need provide an ITR along the with Bank Certs and statements? Or it could be either or? Thank you so much! Usually you need to provide both right? It's best to present more documents and let the embassy choose which one they'll need. Portugal (5days) > Spain(3 days) > France(3 days)from France Fly back to Philippines. Is is this ok? Hi Elem! It is recommended but depends pa rin so I guess not necessarily. My first Schengen visa was applied through Switzerland Embassy but our point of entry was Italy and the exit was from France. So that means to say po na I can enter to Portugal then I can exit to France? Bali eto po talaga ang i-present ko sa Embassy as my travel itinerary. Dba po ang sabi rules is you should apply to the embassy sa country kung saan ka mag stay long? That's what they said but not sure if the EU union follows that rule pa.
hi yesterday we got approved uk visa of my mom and niece who travel here in uk,and both sponsored by my sister,here we only submit one copy of sponsored document for both of them..do you think it would be the same in french embassy?or need to provide each of them,TiA. Hi Marife, I'm sorry but I'm not really that familiar what type of document you presented but here in Manila you can provide an affidavit of support for two under one doc as long as they're applying as family. If group and not directly related it's better to present separate sponsored docs. I went to vfs and learned what requirements i need to present for my schengen visa for france but as a free lance cabin crew I don't know how to proceed with my application as I was an OFW in my previous company. Do you have any information how I can have schengen visa needed for the nature of my job? Sorry I can't help you on this. I had no idea you can work as freelance cabin crew. It's best to call their helpline at +632-790-4903. I think it's always best to present certified documents (CoE, residence ID and invitation letter) from his end before you submit the application. He can actually apply direct from the French Embassy in Dubai. Hello po! Ask ko lang po kung mga ilang days po after magbook ng appointment sila magrerelease ng schedule for the submission of requirements? If I'm not mistaken once you've booked an appointment, that's also the same day of submission of requirements. Make sure you have a copy of your flight and accommodation. As well as contact person if you have one. Thanks for this informative blog! I'm still a student and planning to go to Germany to visit my sister (she's married to a German citizen) they'll be the one to shoulder all of the expenses. Do you think it would increase my chances to get my visa approved? Thank you, Czarina! Hello! I will be flying to Manila this weekend for an interview on Monday, starting to get really nervous about it. If you don't mind me asking, what were some of the questions that were asked during your interview? Also, for how long was your trip and approximately how much was your show money? Crossing my fingers and praying for a successful and hassle free interview, hope it turns out really well. Your response would really help! Apologies for the late response but if I'm not mistaken there's no interview when passing your documents. Just normal Q&A. How was it? I hope you can update us. Anyway, like you said, it's just more of like a Q&A, just basic questions like purpose of travel, for how long, as well as questions about the sponsors/host most especially, etc etc, questions that you can answer right away. Also, it was a video call so it went really quick, probably around 5-8 questions. The most thrilling part was waiting for the parcel to be delivered by LBC, thank Jesus for good results. That's good to know. :) You're welcome! No interviews whatsoever, just normal Q&A upon submission of your papers. May i know what dates did u declare in the app form and what were the actual dates granted. Wanted to know of there us room to slightly change dates post approval of visa. Actually im a foreigner working in Makati, after i read your blog post then i have a question to consider. The birth certificate is requirement? I dont have it here. May i skip it ? I have almost support documents such as: certificate of employed, BIR 2316, bank certificate, bank statement. All of these are okay without birth certificate. What are the dates you included in the app form and what are the actual dates granted in ur visa. Wanted to know if there is still little room to change flight plans post visa grant. They usually approve the dates given upon submission of application form and I believe you can no longer change that. Try to contact the embassy directly and ask if possible to change. I'm sure they're gonna ask why.. so you need to produce something (like medical certificate or whatever) and pray that they approve you're request. May i know how much are the service fees of VFSGlobal. The appointment address will be vfsglobal or french embassy? I'd appreciate if you read the whole entry since everything was posted. Service fee is €26.00 and you will be submitting docs direct to VFS Global in Chino Roces, Makati. Good day!I read you scheduled you appointment on january 7..ask lng po ako if kelan ka nagpareserve for scheduled appointment? I guess it's best to call at least 1-2 mos before your scheduled date of travel. Processing of visa takes 7-40 working days depending on the embassy. Kailangan po bang ipresent yong old passport? or photo copies only? Wala pa kasing butas ung old passport ko. pero meron na akong new one with stamps na din. yong sponsor docs lng po ba ang kailangang i-notarized or are there docs na galing sakin inotarized like cover letter etc..
Bring both old passport and photocopies para sure. :) Lahat ng affidavit of support notarized po yun. Hi! I found this page very informative so just to pay it forward, here are my other tips. If you're applying with your minor kid below 12, he/she can opt not to go with you. But the picture you should present should be hi res so they can properly copy it in the biometrics area. You need to give an affidavit of support and consent EVEN IF you'll be with your kid in the trip. This assures the embassy of your commitment to spend for him/ her (like a bond). We thankfully submitted this although I wanted to argue that under Philippine law, parents should really provide for the needs of the child. We also submitted our child's cert of enrollment and approval of absence form his school. for our financial docs, we submitted our ITR, cert of deposit and 3 month bank cert, and certificates of investment. We included our Credit card bills but they returned it to us. We also got an approved leave and permission to travel from our employers as well as our certs of employment. The fees are not clearly stated but you will need to pay the application fee, the lodging fee (for VFS's services), the optional SMS fee and courier fees. The schedule of payments vary everyday depending on the exchange rate. hi kristina! may I ask if VFS is still processing schengen visa? currently, I have 6 months UK visa though I am planning to visit also random place of europe. would you know how to proceed on getting a schengen visa? I do have a roundtrip plane ticket already mnla - heathrow vice versa and my flight is aug 31, 2016 already. Pwede po ba malaman kung saan kayo nagprocess ng schengen visa for Switzerland? Hello . Ask ko lang po of magset ng appointment in vfs my appointment din po ba sa embassy of france ?thank you . No need to go direct to Embassy of France. Im a registered nurse here in Ph & been working in our institution for almost 6years now. 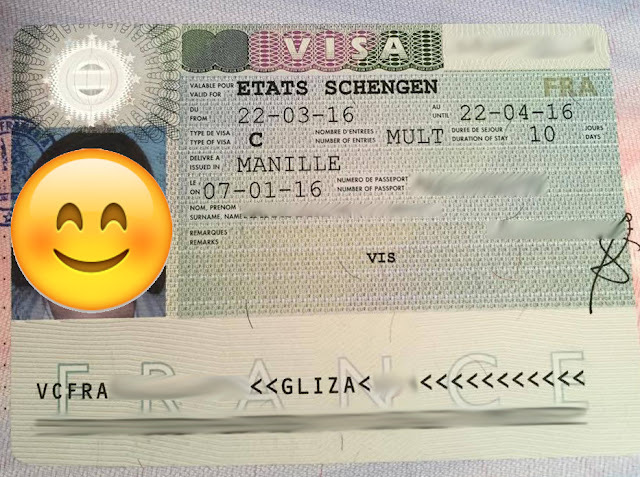 My husband & i are planning to apply for schengen visa at vfs france manila this coming November. My concern is, are they as strict as the US embassy when granting tourist visa for nurses like me? Will it affect my application or should i just apply as my husband's dependent(housewife)? Also, how long does the processing time usually takes at vfs france manila? My husband will only be here for two weeks & needs to report back to work overseas...will 2 weeks be enough time to get his passport back? Thank you so much in advance! Hello there! I'm not exactly sure the difference in terms of application compared to the US coz I havent tried getting a visa from them. But so far I dont see any reason naman for you to declare that you're a housewife. I think mas malaki chances of you getting a visa since you're employed and can present all docs needed. As for the husband, normal processing takes between 7-40 working days. I suggest you inform VFS if you can request for rush processing? Show proof that hubby needs to be back to wherever he's working on these dates. Hi Czarina! I really appreciate this is very informative post! I just have a question.. What if Im granted with a Schengen Visa by the French embassy but the flight that Ive booked has a connecting flight in Munich? To I have to mention that anywhere on my application at all? Or not anymore? Since im just gonna spend a few hours in Munich while waiting for my next flight? If I'm not mistaken you need to mention the Schengen countries your plan to visit.. coz once the visa is approved you can enter from any Schengen member countries na. Good eve. Ask ko lang po if my interview pa po sa vfs??? Thank you po. No interviews, you just need to submit your documents. I plan to go with my friend in June 2017 as we saw the flights are still cheap, keeping in mind that I have to apply 3 months before (around April?) Do you think I should wait until jext year to really kick things off or I can start as early as now? My concern is if I wait until next year the flights may be more expensive. Thank you! If you're 200% sure that you'll get a visa next year (based on your travel experience) then go ahead and book flights now while they're cheap. Hi Czarina. Thank you for this very informative and helpful blog. I would like to clarify if you were granted with multiple or single entry visa? If it was a single entry visa, it means your visa is valid for 6 months right? My main purpose to get a Schengen visa is for me to visit some visa-requiring countries. We know once you have a Schengen visa, you don't need to get visas for visiting other countries. I would also like to ask how much was projected on your bank certificate? I would appreciate if you could disclose this. :) I was granted single entries for Korea, Japan and Taiwan from my previous trips. Hi Pj! Thanks for dropping by my blog. Anyway, the passport attached is a multiple entry visa with a bit of conflict coz as you can see, it allows her to stay for 10 days ONLY between March 22-April 22, 2016. Moving on, validity of the visa depends on your proposed date of travel. So you need to give specific dates so the embassy can adjust to your request. As for the amount to present on the bank cert, there's no exact amount for that. I am confused as well coz there's a notion that you need to present a big amount just to get a visa. I've heard stories that they get denied as well, despite presenting millions of pesos. So it still depends! But if I remember correctly I presented a bank cert with less than Php300k. hello po czarina maye.. ask ko lng po. ang NSO birth cert. po ba kelangan bago kuha? or kahit expired na po. I mean last year ko pa sya nakuha. tnx..
Hello! I remember President Duterte getting rid of that rule na kailangan laging bagong NSO ang ipresent but I'm sure it doesn't apply to visa applications. Yes, better get a new one. I'm not exactly sure. :( I think safest amount would have to be 100k minimum. I guess it's better to present your own? I always say it's easier to apply on your own than depend on a sponsor. You'll both provide docs anyway. hi czarina thank you for making this blog that is so helpful and you're time answering almost all questions, by the way my sister who lived in Finland ask me to accompany her daughter (21yrs old) to go there so she send invitation letter for both of us including the proof that she will shoulder all of our expenses. I am a full time housewife, and my niece is not yet employed, can you advise or suggest any alternative to proof of income or employment? Sadly, there aren't much options you can give if both of you can't produce docs. Ask your sister to send as well a signed/printed copy of affidavit of support for the both of you. (1) It is my first time to travel abroad, meaning my passport is still fresh and of course without any stamps. Do I need to photo copy all the pages? Just wondering. Cover letter; Any format or does this have a particular one? (2) Proof of employment and Proof of income; I am a student, so that says it all. I am just applying for a leave of absence from our university. Will that work? And also, my boyfriend is paying for the trip. Does that mean I have to pass his ITR, Bank Certification, 3 months Statement of Account of the same bank account, UITF/Investment Certificates (if any) and have it notarized? (3) Travel insurance with a minimum coverage of €30,000. Can you give me a hint on how much the insurance will cost? I am really nervous about this. Anyway, I'd appreciate you response. Thank you and God Bless! Hello. I guess no need to photocopy the passport if there's no travel history pa. As for the cover letter, wala naman akong alam format na dapat sundin. And if your boyfriend is paying for the trip, ask him to write an affidavit of support for you, notarized. Yes, he needs to present all other docs needed that you don't have. If I remember correctly I got our insurance from Blue Cross but can't exactly remember how much it costs. I'm sure it's less than Php7-10,000 per pax. Any reviews for booking.com regarding hotel bookings (re: cancellation of booking). I've read reviews that about cancellation problems (cancellation not received by booked hotel, thus being charged with either one night or full amount). I haven't tried booking with them. 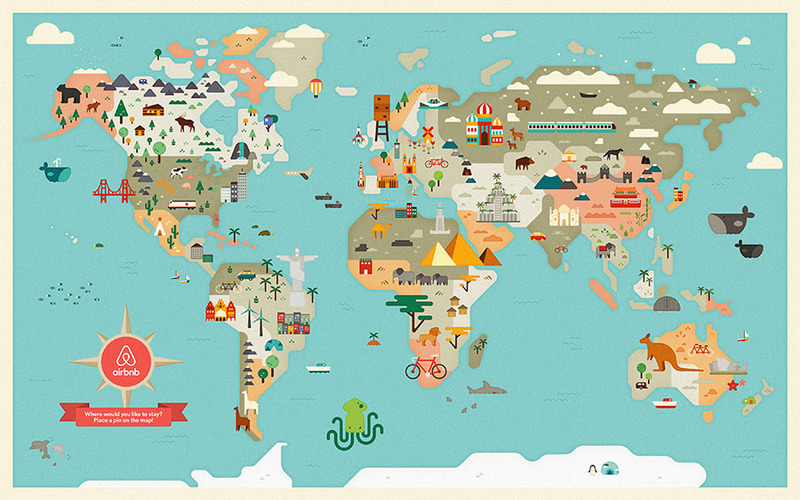 Try Agoda or Asiatravel. 2. the date up to when cancellation is still free (e.g. "free cancellation before Oct 24" -- this means you have until 11:59pm of Oct23 to cancel, otherwise you are charged one night). Some properties allow cancellation up to 24hrs prior to reserved date, while others are stricter and require 72hrs. Thank you for the very informative blog! I would like to ask, were you required to present a paid airline ticket AFTER the visa approval? I read somewhere kasi na sa Belgian embassy, they were required to show a paid ticket before their visa was released (after approval). Kasi we want to apply for the visa 3mos earlier than the planned travel dates but we plan to buy the tickets pag malapit na lang yung trip. Thanks! I haven't tried applying from Belgium and I guess it's not a requirement. Embassies don't actually recommend buying tickets agad coz what if ma deny ka, sayang di ba. Optional lang palagi ang pag present ng airline ticket but it helps din as proof if sakaling you really need to go to Europe. I FILED MY VISA SEP 20 UP TO NOW THERES NO EMAIL HOW DO I FOLLOW UP MY TIME IS GETTING SHORT AND THE TICKET IS GETTING HIGHER, PLS HELP. You might want to follow up direct with VFS. Is this for Schengen visa or Australian visa? Sadly, there's no way to rush things with the embassy. Unless it's an emergency. You can ask your sponsor to provide an affidavit of support for you. Hi! Nag avail kana agad ng insurance? I mean binayaran na agad? Eh what if ma deny? Yes, very minimal lang naman ang bayad with the travel insurance. Try to ask if you can refund in case your application gets denied. Sorry so hear about that. I'm not exactly sure how it works for online applications. But sadly.. yes, it might affect your application kaya dapat talaga careful before you submit anything. Hello po czarina, mag cruise po kasi kme ang barko mangagaling sa australia den pupunta sa new caledonia.nag aply ako first ng australia visa neto lng october 18 2016, pagkatapus nag aply nman ako ng france visa or schengen visa october 21 2016 nman. Tapus nag email po skin ang france embasy ngaun lng oct.24 2016,na isend ko daw po sknila ung australian grant visa pag hndi ko daw na nagawa may visa refusal daw po nag reply ako sabe ko dun sa msg na inaantay ko pa din ung australia visa tapus sinend ko na din ung proof na nag process na ako at nag aantay din ako paano po kaya yun iniisip ko po baka ma denie ako dahil dun eh wla nman po sadya ako magagawa kase kaka aply ko pa.lng po ng australian visa . Thanks po sna mag reply po kayo. All you have to do is wait. Sana inuna mong asikasuhin ang Australian visa before you applied for Schengen since mas mabilis processing nila doon. Good day ms czarina! I'm so happy to come across your blog.my sibling wants to celeb my mom bday in vatican and other part of europe.so they ask me to secure a visa.i have a brother in spain and a sister living in london she has a spanish citizenship do both of them have send a letter of invitation? My other sisters in the USA will be shouldering my airfare and accommodation do they have to send an affidavit of support and also a letter to the embassy? As i don't have enough money in the bank. by the way were planning it on april (last week) or early may when will i have to get an appointment as i have also to secure some documents from my employment and banks certificate. Thank you very much your response would be a great help. God bless! Yes, they do. Just send them a softcopy and you can ask them to send hardcopy via FedEx. They need to also present supporting documents such as bank statements as proof of support. Hi.... pay nadeny po ba hindi marerefund ung 60 euro? Unfortunately, no refunds for denied application. Wow, congratulations! :) Enjoy Europe! Would you know if they offer rush processing and how long that takes? Tapos 14 calendar days ba yung regular processing? I based that lang sa website kasi sabi sa website get your passport 14 days after application. I emailed the embassy already because when I called, they said they don't entertain visa inquiries via phone call. :( They haven't replied to my email yet. Usually normal processing yun kaya it is best to apply at least 2-3 months before the scheduled trip. Unless it's an emergency then you couldve shown proof why you need to fly ASAP. good afternoon po.. ask ko lang po if gagawa po ako ng travel itinerary? magbook po ako sa ibat ibatng hotel sa france pero po dun lang po ako magstay sa house ng bf ko po ..okay lang po kht d po sundin yung travel itinerary??.. Sample lang naman ang itinerary and you don't necessarily need to follow it once you get your visa. Sorry ms czarina if im being makulit..i just cant get what you mean with i'll send the the softcopy of what..
Softcopy of the affidavit of support so they can print and sign. Then ship it back to Manila para mapa notarize mo. I'm not familiar with sponsored tourist visas but usually wala naman po problem as long as complete documents. hello po.. ask ko lang po if mag apply po ako sa greece ng visa then yung ticket ko db reservation papuntang greece if ma approved pwede ko po ba i change yun ticket ko po papuntnag france .. thank you po..
may i ask where can i process a shengen visa? its for Montenegro? would you recommend agencies that assist for this? I usually apply on my own to save extra money on service charge for travel agencies. Usual agencies I go to are Rakso and Reli Tours. Hi Czarina, would you have an estimate on how much should be the money in the bank? My fiance will be applying for a schengen visa for our planned trip to europe. There's no minimum amount needed or required by embassy but based on my experience, I usually have to have at least 100k on my bank account before applying for a visa. Hi! Just want to confirm about the stamped passport. What if this will be my first out of the country travel. Will that be ok? Or does it really need to have stamps? Based on experience, some friends get denied when they don't have travel experience then suddenly they apply for a visa to visit countries outside of south east asia. I guess your husband will do. ;) Sine joint naman pala lahat ng accounts ninyo. Hi po ms Czarina,im an ofw and uuwi na po ako by january for good,and im planning ti visit spain po by april,tanong ko po ano po ipapakita kong documents since wala naman po akong trabaho sa pinas pag uwi ko at pano po un leave sa work eh d na po ako babalik abroad.. It's a bit hard to apply for a visa if you dont have specific docs required such as ITR, etc. :( I seriously have no idea how you're gonna apply even if you have the money. Hello miss czarina ask ko lang po.. Na submit ko na po ang application ko sa travel agency na ginamit ko... im not sure if they aubmit it already at the german embassy in manila. Anyway my bf (the one who sponsored me he is a german citizen) and he he stated in the invitation letter that i will be staying with him december 20 until january 20. Is it ok po ba sa embassy yon kung ma submit ng agency ang documents ko in the 15 of this month? You're leaving on the 20th but you applied on the 15th? Not sure about this. There's a rule that you should apply at least 2-3 mos before the date of departure. Hello, Where did you book a refundable international ticket? Travel agencies usually offer these together with the processing of visas. Hi! I would like to ask po sana regarding dun sa Health insurance and all. like i saw po sa comments mo yung about sa Blue cross. Written dun was yung different plans and payments. How does that work po ba? They have different options and it will all depend on how much you're willing to pay for insurance. There's always a minimum like 1M insurance if something happens to you. How many days prior to Jan7 did you call for an appointment? How many days would you advise? Schedule will depend on what dates are available. It's best to check the website first and remember that you should apply at least 2 mos before estimated date of departure. HI..pag sa VFS global ka mag apply, do you still need or required to have a personal visit sa French Embassy or di na? Im from Cebu kasi, so after I book for an appointment with VFS global lets say this January 10,2017, yan na yung only time na pupunta ako ng Manila to submit personally my documents at wala ng iba? No need to drop by the french embassy, you just need to leave all docs with VFS and they will process docs in behalf of the french embassy. Hi Ms. Czarina, Im a 22 year old female and the only place ive travelled so far is japan via single entry visa but im planning to apply for a multiple entry this year. do u think ma approve po yung schengen visa ko if i only travelled one country or do i still have to get stamps from other countries? i have work po and have the financial capacity to finance my trip.